Check out these amazing animal photos taken by under 15-year-olds. 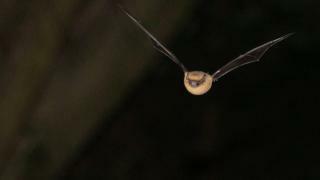 James from Surrey won in the Young photographer of the Year aged 15 and under section for his photo of a pipistrelle bat in flight. Common bats like this one only weigh as much as a 20p piece and eat around 3,000 insects in one night! 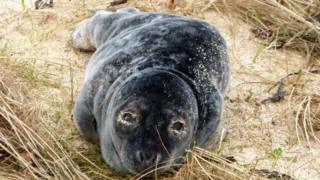 Other photos in the category included this sandy seal pup, sent in to the competition by Ryan Wood. Mammals are warm blooded-animals, who have hair or fur on their bodies and feed their babies with milk. 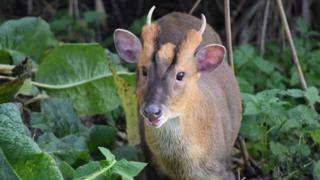 Clara Ismail took this lovely photo of a Muntjac, which is a small type of deer. They're also known as the 'barking deer' because they make a funny noise like a bark when they are startled. 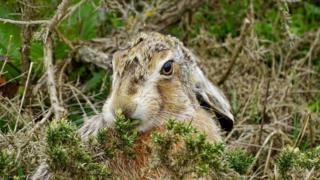 Marina Bennett took this snap of a brown hare. It's bigger than a rabbit and you're more likely to see one in early Spring, so keep a look out! Katy Read captured this photo of a squirrel in a tree. 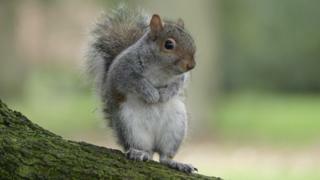 Did you know that grey squirrels build their nests in the treetops or in spaces inside tree trunks? The nest is called a drey and is often large and untidy looking. Who's clip-clopping over the bridge? 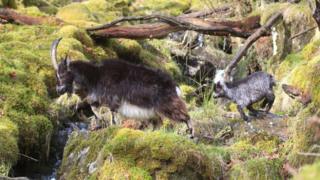 - well that would be these two feral goats, captured by James Miller. 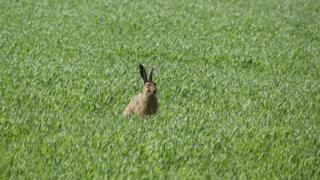 Katy Read captured this great shot of a Brown Hare peeping out of some long grass. Are you looking at me?! 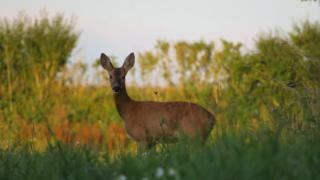 Alex White snapped this great picture of a deer stepping out of the bushes.